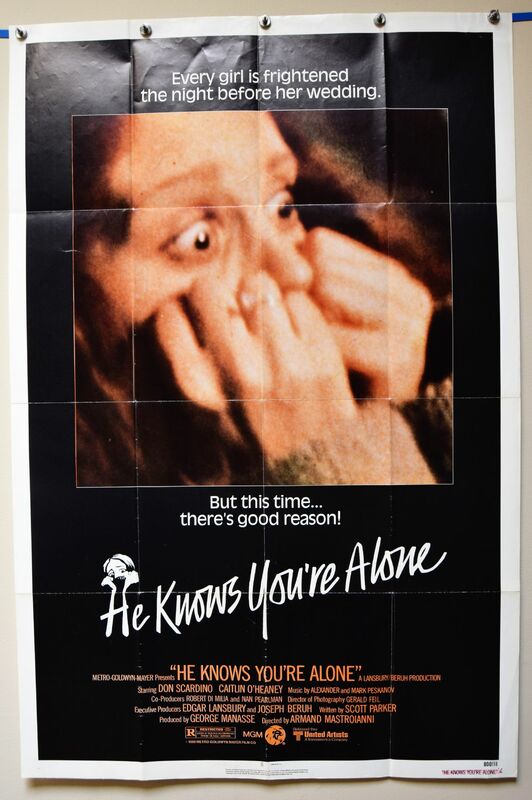 He Knows You're Alone (MGM,1980) US Poster Size 41" x 27"
Serial killer movie starring Dan Scardino. The poster has the lightest of fold wear. Displays incredibly well.